The determination of the relationship between hydrochemical variation and seawater intrusion within the coastal alluvial aquifer of the Essaouira basin (Morocco) was the main objective of this investigation. In order to achieve this objective, the Hydrochemical Facies Evolution Diagram (HFE-D) was used. 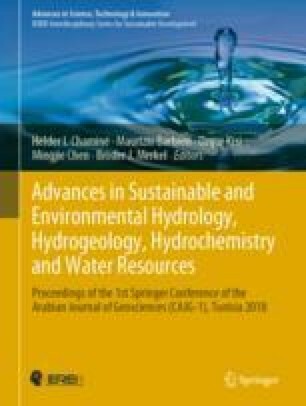 The obtained results show that the hydrochemical variations of groundwater from the coastal alluvial aquifer of Essaouira basin can be interpreted in terms of intrusion of seawater and bases exchange phenomenon. However, the exploitation of the HFE-D diagram results can lead to a better management of the aquifer by identifying areas affected by the marine intrusion.